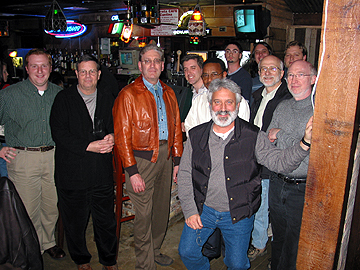 This was a tour for meeting new friends and renewing old acquaintances. ‘NEXUS – we really enjoyed having you all here. I have heard nothing but positive remarks from other faculty, students and the community at large about the concert. We were also able to bus in over 200 local High School students, which apparently is a new record for an instrument specific concert like yours. Thanks again. 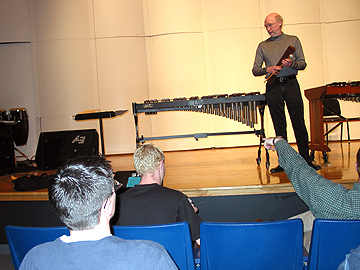 BOB BECKER PRESENTED A XYLOPHONE WORKSHOP. RUSSELL HARTENBERGER PRESENTED A WEST AFRICAN WORKSHOP.